Each year we hear terrible news from southern Europe about forest fires, a trend that has continued this week with the tragic events in central Portugal. Obviously the urgency lies with stopping the fire and providing help to local communities, but once the crisis is past, we need to take a scientific look at the root causes behind the headlines. climate change and increasing weather risk conditions. In Mediterranean Europe, society seems to have lost the capacity to generate value from large portions of the landscape. This leads to land abandonment and the expansion of unmanaged forests. Landscapes are increasingly dominated by continuous, high density young forests, an extremely favourable setting for the rapid propagation of high intensity fires. The cumulative effects of global warming, fire-prone landscapes, changes in urbanisation patterns as well as the lack of perceived value from local populations and the high number of fire ignitions, create the perfect storm for catastrophic forest fires. The situation is now exceeding fire suppression capabilities in many countries, including those with sophisticated aerial and ground equipment, well-prepared fire brigades and substantial budgets. 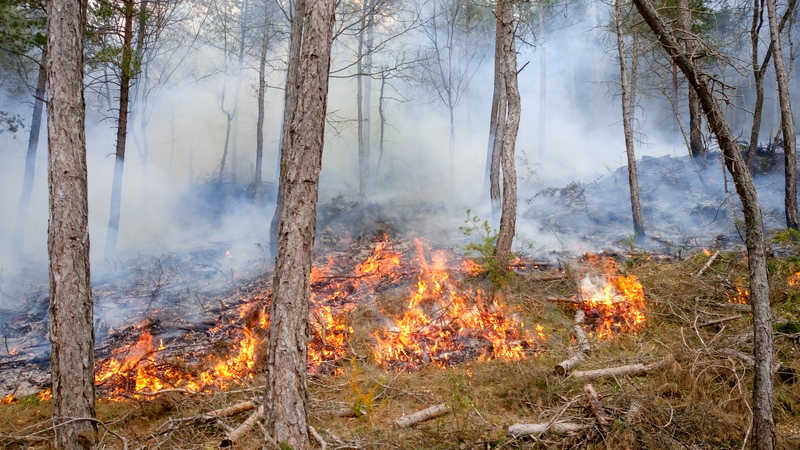 The cost of fire mitigation and control amounts to several billion euros each year and jeopardizes forest policy implementation in Southern Europe. Forests have become a sink for already tight public resources. Under the current approach, maintaining suppression effectiveness levels will require significant additional resources. A new vision is needed. The focus must be shifted towards enhancing the resilience of our forests to global change, and resource management in order to reduce fuel loads and fuel continuity at large, landscape scales. Only then will suppression efforts become feasible. This can be made possible through the creation of functional value chains based on wood, non-wood products, agroforestry and ecosystem services. The bioeconomy presents promising opportunities that can be exploited through market-pull and innovation in bioenergy, engineered wood products for sustainable construction, and biomaterials based on cork and resin. Edible products can also play a role. Developing the bioeconomy vision in the Mediterranean not only has the potential to reduce fire risk, but also to help convert forests into a source of income.